As a consultant on internationalisation, I regularly have occasion to advise people on the finer points of safeguarding their wealth and themselves from becoming casualties of declining governments. It’s no secret that such governments have a decided inclination to legislate rapacious controls over their citizens, in the form of taxation, capital controls, confiscation and limitation over expatriation to less Orwellian jurisdictions. In most cases, those seeking consultation have either already begun expatriating their wealth and/or themselves, or have made the decision to do so and are in the process of identifying those jurisdictions that may benefit them most. As such, they’re taking positive action to avail themselves of opportunities outside their home jurisdictions. However far along in the process one of them might be when they come to me, they’ve already gotten over the greatest obstacle—their own reluctance to decide to take action. Having done so, they’re already on the road to an improved life. Some will make better choices than others. Some will succeed better than others. However, all will fare better than they would have had they simply ignored the need to internationalise. But, then we have the fellow in the photo above. He represents those who (often vehemently) claim that internationalisation is a useless pursuit for one reason or another. I regret to comment that he and others like him far outnumber those who choose to take internationalisation action. In fact, I encounter Homo struthio often, but not in the form of people who are already internationalising themselves. Usually, their contact is in the form of an email they send me after having read my writings. Almost invariably, they take strong exception to any possibility that any internationalisation effort might be beneficial. In reading their comments, I’ve gleaned some common attributes they share. Homo struthio rarely ventures far from home. If he goes abroad at all, it’s likely that he does so as a tourist. You may have seen him at one time or another—staying at the American Marriott in Hong Kong, or ordering a Viertel Pfunder mit Käse (Quarter Pounder with Cheese) in a McDonald’s in Munich. Homo struthio does his best to remain within the confines of the familiar. This may be out of habit, or fear that he’ll have a negative experience, but, in many cases, he actually believes that his home country is the best one and that deviation from his home country standard is almost certain to be a mistake. But the point here is not to pick on the UK or the U.S., or their people. The point is that there are countries where people have commonly become more insulated than in others—more likely to assume that anything outside their home country is likely to be suspect, if not downright undesirable. This is definitively incorrect. Many countries operate almost entirely independently from the EU, the U.S., etc., and will be unaffected if crashes occur in those jurisdictions, just as they’re unaffected by present developments. Further, many of the countries that are doing well are allies of the U.S., and the U.S. is unlikely to invade them for the crime of being freer and more prosperous than the U.S. This question is becoming increasingly common. It’s also quite disturbing, as it suggests that the home country is increasingly threatening the freedom of movement of its people in an effort to trap them in. Whenever a country does this, it’s a sure sign that it would be better to exit sooner rather than attempt it later and possibly fail to escape. This observation, of course, is subjective. If someone perceives his home county to be the best one in the world, he most certainly should remain there. However, this comment is most often received from those who have not travelled much and therefore have no real understanding of the many opportunities that exist outside their home countries. In most cases, it’s a blind assumption, rather than an informed appraisal. All the above arguments (and many more), which ensure a greater risk of loss of wealth and freedom at the hands of your home country, are flimsy at best, yet countless people throughout the EU, U.S., Canada and other declining countries stand firmly behind them when the alternative of internationalisation is offered. If you’re about to send your tax return to the IRS—and even if you already sent it out—you need to watch this video… It contains information about a little-known tax loophole very few Americans know about. But almost every American can use it, no matter how much they earn, who they know, or where they live… Click here for the full story. Not long ago, a friend of mine died of cancer. For years, whenever mutual friends would mention that they’d had a recent checkup, he would say, “I never go to doctors. Whatever they say is going to be bad news and I don’t want to hear it.” That position cost him his life. It could be said that this is another example of Homo struthio logic, since he, too, avoided the pursuit of a solution to a problem until it became insurmountable. Whenever we find ourselves taking a stubborn stand against the pursuit of opportunity, it’s likely because we simply don’t want to confront the fact that we may well be facing a significant problem in the future. We don’t wish to say to ourselves, “I know I’m wrong, but I’m just going to shove my head in the sand.” We don’t want to have to admit that we may be being extremely foolish and shortsighted, so we justify our decision to ourselves by off-handedly discrediting the solution, and then, try not to think of it any further. Whether it’s a question of saving our lives from a dreaded disease, or saving our wealth and freedom, the outcome will likely be better if we behave as Homo sapiens rather than as Homo struthio. Editor’s Note: We believe that bad financial decisions and massive debt levels will cause another financial crisis, and probably a currency crisis. 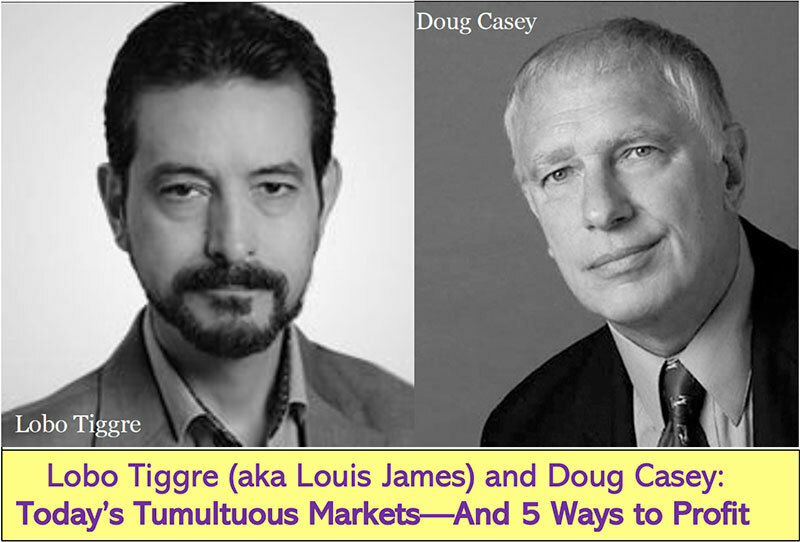 New York Times best-selling author Doug Casey knows. 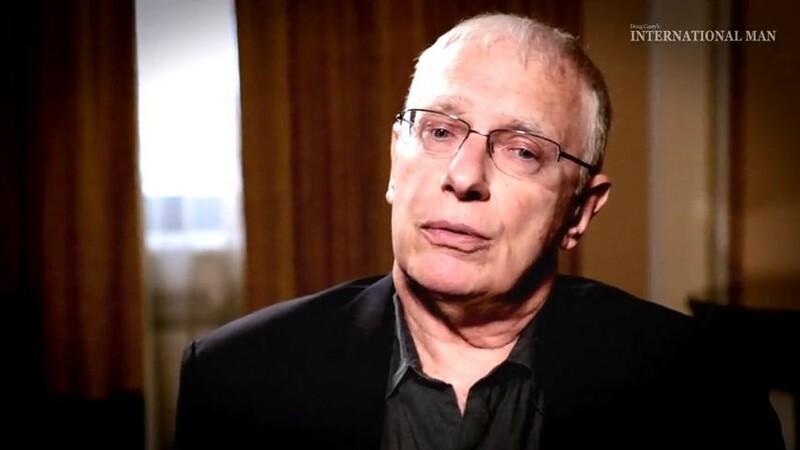 Unlike most people, Doug Casey has actually lived through a currency crisis. He was in Argentina when its currency collapsed in 2001 during the largest sovereign debt default ever. By making smart investments, he even managed to make a large gain on his money in the aftermath of the crisis. We recently recorded a video with Doug on this topic. In the video, Doug shares his advice on how to survive and thrive during the collapse of a major currency like the U.S. dollar. Click here to watch the video.